Casa turística en primera planta con garaje. Villamercedes se encuentra situada a 2km de Salamanca y 50km de Portugal. Si deseas escapar de la rutina con tu pareja o amigos o estás buscando un lugar único para tus celebraciones, este es tu lugar. Villamercedes it un pequeño terreno of 6000 m2 of the same building, jardines, zona de juegos y piscina privada. Las edificaciones se puedes alquilar por separado o conjuntamente. -5km te separa del silencio and the tranquilidad a la movida y festiva de Salamanca. -Portugal está a solamente 50km. A 25 minutes drive to the famoso mercadillo. El complejo tiene 3 estancias distintas. VILLAMAYOR I (9 p.), VILLAMAYOR II (4) Y VILLAMAYOR ESTUDIOS (4). Villamercedes II is located 2 km from Salamanca and 50 from Portugal. If you want to escape the routine with your family, friends or are looking for a unique enviroment, this is your place. 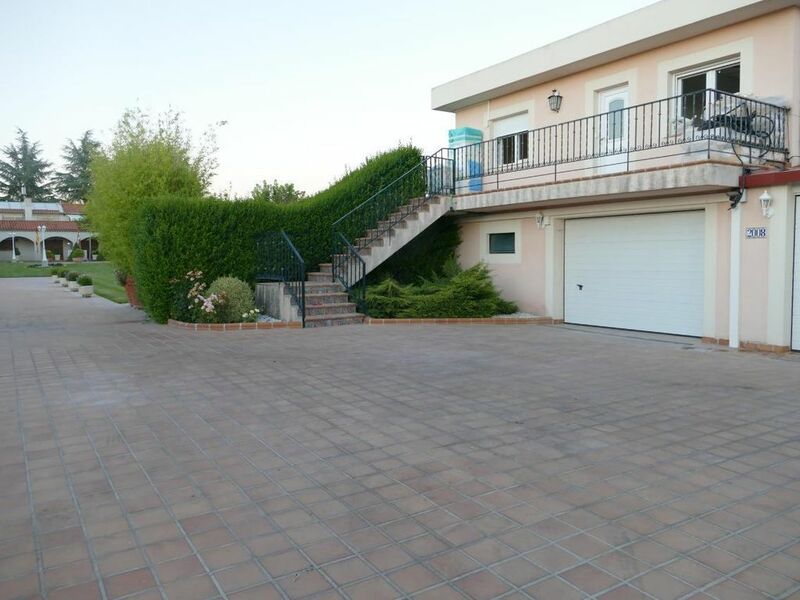 Villamercedes is a small plot of 6000 m2 consisting of three buildings, gardens, playground and private pool. The buildings can be rented separately or together. Villamercedes II is perfect for two couples. -3 km separate from the lively and festive Salamanca the silence and tranquility of Villamercedes. -Portugal is only 50 km away. In 25 minutes you could be in his famous flea market. 3. 1 "Main Villa". 7 guests. 3. 2 "Small house" 4 guests. 3. 3 "4 studios" 1/2 guests eAch. No smoking inside the buidings. Extra bed: to rent per object per day for 30 EUR (optional). Final cleaning: per object and day costs in the amount of 50 EUR (obligatory). Interim cleaning: per object and day costs in the amount of 40 EUR (compulsory).